Providers have come out against a proposed CMS rule that could prevent Medicare beneficiaries from taking infusion drugs at home, saying the plan will increase costs and force patients to seek costlier treatment at hospitals. The CMS' 2019 home health pay rule proposed to pay infusion drug suppliers only for days when a skilled provider is present to administer them to patients. That change could drastically change how infusion drug patients receive care, as many regularly administer their own drugs without a nurse or other provider present. If infusion drug suppliers can't get paid for those home treatments, more patients will have to go to the hospital for the medication, according to several comments sent to the CMS. The comment period on the proposed rule closed Friday. "In most cases, it is clinically appropriate for a nurse to begin an infusion, but not necessary for the nurse to stay the entire time," Allyson Hammer, compliance & regulatory affairs manager at Allina Health, a Minneapolis Minnesota-based health system with 13 hospitals and 14 retail pharmacies, said in a comment letter. "Requiring a nurse to be physically present in for the entirety of the infusion is not an effective use of resources." The suggested change stemmed from the Bipartisan Budget Act of 2018, which outlined payment standards for drug infusions at home. According to the law, eligible home infusion suppliers can only be reimbursed when a professional administers the drug. "We believe this to mean that payment is only for the day on which the nurse is in the patient's home when an infusion drug is being administered," the CMS said in the proposed rule. But providers argue that's a narrow read of the law, and that interpretation also would prevent the CMS from paying drug infusion providers for services needed to supply the drug to a patient, according to Hammer. That includes drug preparation by a licensed pharmacist and clinical care coordination between physicians, nurses, pharmacists and patients. "Without these services, home infusion drug administration will never happen, therefore they are services provided to the patient when a drug administration occurs," Hammer said. 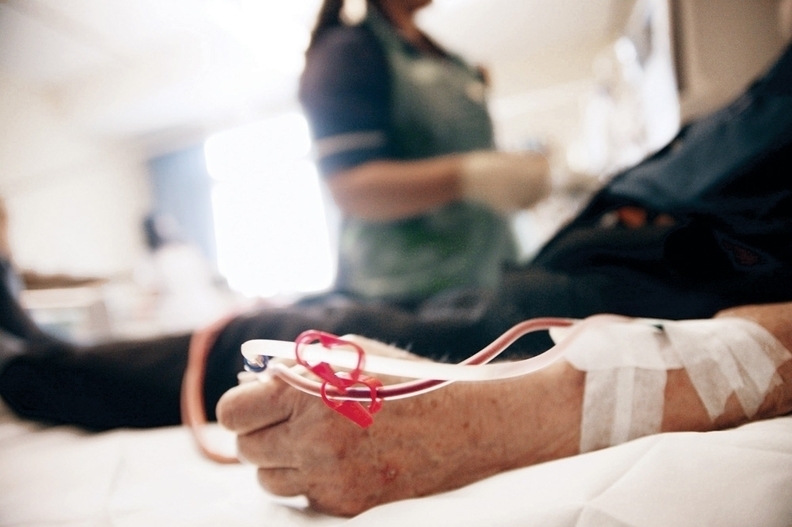 Diplomat Specialty Infusion Group, which offer infusion services, said patients with depressed immune systems could see their health falter if they have to visit a hospital to receive treatment, since they're more likely to contract an infection there. Several patients echoed those concerns in their own comment letter to the CMS. "My condition compromises my immune system, making the risk of infection a dire concern," Shelly Wilson, a patient based in Brownstown, Michigan said in a comment letter. "Because I cannot fight off infection, hospital visits can jeopardize my health."